Andy Williams: "I Have Cancer"
The "Moon River" singer told a crowd of fans he was ill. The 83-year-old Williams told the crowd at his Christmas show Saturday night Nov. 5, 2011 at the Moon River Theatre in Branson, Mo., that he is battling bladder cancer. Singer Andy Williams told the crowd at his Christmas show Saturday night that he has bladder cancer. The Tri-Lakes News reports the 83-year-old Williams appeared early in the show at the Moon River Theatre and vowed to return next year to celebrate his 75th year in show business (http://bit.ly/uaedcs). "I do have cancer of the bladder," Williams said. "But that is no longer a death sentence. People with cancer are getting through this thing. They're kicking it, and they're winning more and more every year. And I'm going to be one of them." The silver-haired "Moon River" singer missed planned performances this fall with an undisclosed medical condition and the theater announced recently that he would likely miss his holiday schedule as well because of the condition. The newspaper reported he has not started treatment, though it did not identify the person who provided that information. Williams' appearance Saturday was a surprise and brought a standing ovation from a nearly full house. The golden-voiced singer had a string of hits in the 1950s and '60s, including "Can't Get Used to Losing You" and "Butterfly, but he is best known for his version of "Moon River." He earned 18 gold and three platinum albums in his career. Williams hosted annual Christmas specials on television and performed Christmas shows on the road for many years. His 1963 recording, "It's the Most Wonderful Time of the Year," is a Christmas standard. 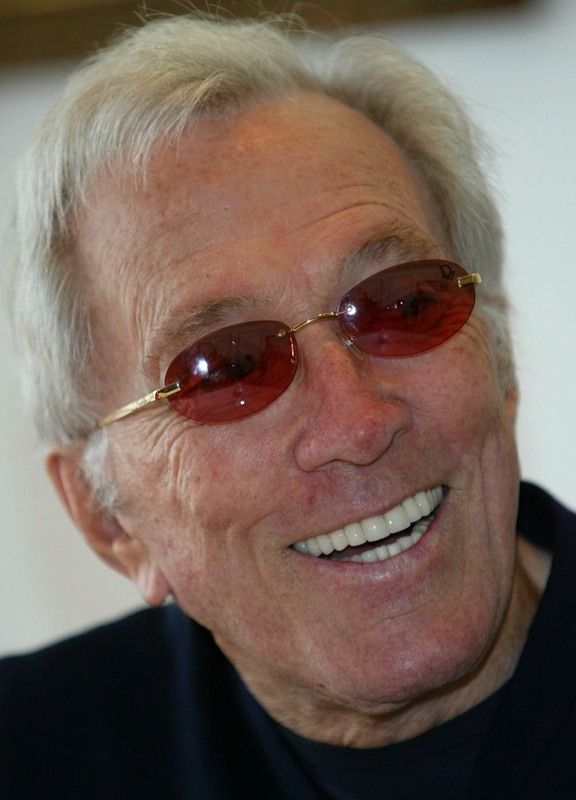 The Iowa native also hosted an Emmy-winning variety television program "The Andy Williams Show," from 1962-71. He published an autobiography, "Moon River and Me: A Memoir," in 2009. Williams sang "The Christmas Song" (known as "Chestnuts Roasting on an Open Fire") at the theater he started in 1992 and said he would be back next September and October to celebrate. "I'm going to do the shows I've planned to do," he said.